The NFL Draft has almost arrived. 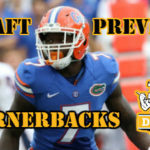 Here at Steel City Blitz, I do multiple mock drafts per offseason. 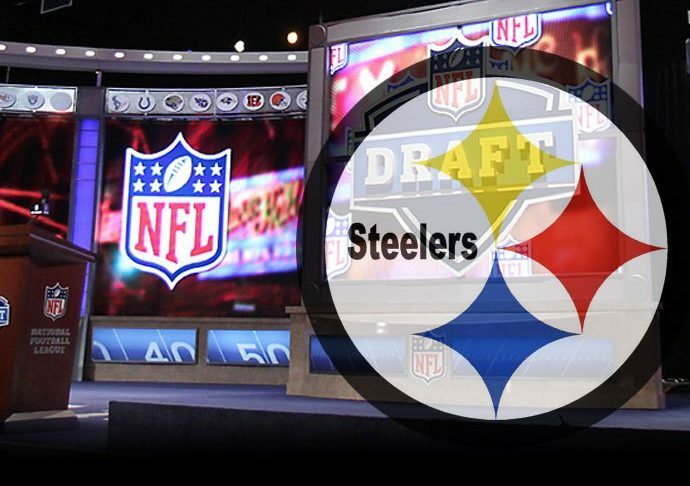 Here is a 7-round Steelers mock draft for your enjoyment. There was no simulator used for this exercise and this is my second to last mock draft of the season. Go to the comment section to exclaim your opinions. 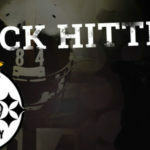 This pick goes against the grain with some aspects of Steelers history. The Steelers haven’t selected a player from Alabama since 1999 and Evans’ athletic numbers are not on par with what the Steelers usually look for. The Steelers need at linebacker is obvious and Evans has the tape to overlook some of his poor testing numbers. His football IQ is off the charts and he is a very good football player. Evans has shown he can cover well, rush the passer, and tackle well in space. In this exercise he gets to the Steelers, and they take him. It is assumed that Evans was present at dinner with Mike Tomlin after his Pro Day and the Steelers met with Evans at the NFL Combine. 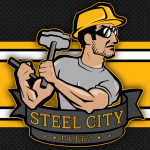 As I said on the Steel City Blitz Podcast, I believe the Steelers will take a wide receiver in the first three rounds and we discussed the possibility of Kirk being available at pick 60. In this case, he was, and the Steelers have found a very good returner along with a productive slot receiver. Projected as a strong safety, but can play the center field role if asked to.A true competitor. Perfect for the Steelers’ system; will play the run like a linebacker and be tasked with shutting down tight ends like a safety. Decently high ceiling, not a low floor; at best, a productive starting safety, at worst, a special teams demon who can step in and taking meaningful snaps if needed. Would be an excellent addition to the secondary. White was speculated to have visited Pittsburgh for a local pre-draft visit. This is a guy I really like and is exactly what the Steelers need up front. A space eater who can demand double teams and help linebackers shoot gaps freely. Norton shows some short area quickness and strength at the point of attack and is perfect player for new defensive line coach Karl Dunbar to coach up. Karl Dunbar was present at Miami Pro Day and led defensive line drills and Norton was included. Iyiegbuniwe had some injury issues earlier in his football days, but has since then put together some productive seasons. A two time captain, the former hilltopper is an athletic player who has some special teams background and that’s where he starts off his career in Pittsburgh. Harding is an intriguing prospect who can bring some of the same heat that Mike Hilton currently does. The Steelers seem to be interested in bringing another slot cornerback into the fold and Harding can be just that. An excellent, aggressive tackler who has ball skills. Was barely challenged last year because he was so well known. Special teams guy and bottom of the roster depth. Before i talk about Chris Nicolauo’s latest mock draft i have to have ask Bob Graff why are you sold on Bates? From what I’ve heard and read he needs to add weight to his body and would a few years of development before he becomes a starter so are you sure you want to wait that long? Now as far as this latest mock draft it’s a little better than the last one but i do have a couple of issues with and it’s not just the Ballage pick it’s the LB pick in the 7th Rd. On paper it looks good but i would rather have a blocking TE or Josh Frazier. Kirk is good but if Washing ton is there I’m taking him cause he will fight for the ball on contested catches the same can’t be said for Kirk who will face trouble if he gets pressed at the line. Norton is a decent pick but i like Yiadom of BC more than Norton but again it’s a decent pick. I wonder why no Edge Rusher in this draft? To me i would want Armstrong of Kansas and yes i know he needs a year of the 3-4 under his belt but i can live with it if it means he can become a big force on Defense. Al in all Chris this mock is a bit better but I’ve said my peace on it. As far as Bates goes i like the coverage skills , immediate step in when Burnett leaves and i think he’s the ball hawk we’ve been missing for a while. And he’s better than the ILB ‘s who will be available. I see all the ILB’s with a first or early second round grades gone when we pick. 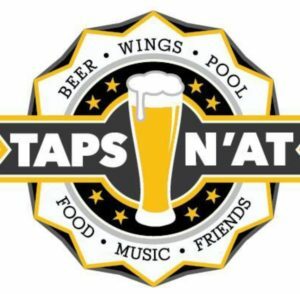 I really didn’t know much about Ballage until he was mentioned on SCB. He has some skills and probably doesn’t make it to late round 3. As far as the LBer goes quite frankly i feel taking a shot at a late round diamond in the rough is better than a long snapper. Yeah i would rather have Harrison or Kyzir White than Bates and as far as Leonard goes he will get the same treatment are Hargrave: raved as great pick but eventually gets trashed by the fans for being the impact player the fans want him to be. Calloway is not even on my radar in Rd 5, i like Jaleel Scott and Justin Watson. Both are exactly the kind of WR’s Ben wants, a 6’5 guy who go up for the Ball and yank it down for a big play. This whole idea of a taking a RB in the draft is just foolish and i have no patience to even explain it. Come on Bob when i say the Bates needs to add weight i wasn’t lying and he ain’t close to being ready but that’s just mu opinion and obviously you have yours so will to have to agree to disagree.